Take a Minute to Save Hundreds on Your Insurance! Call Now for a FREE no obligation quote at (215) 942-0616, or fill out the form on the right to save hundreds on your insurance now. Fill out NOW for a FREE Quote! Get a FREE Quote Here Now! •Never leave cooking equipment unattended and if you have to leave the room, turn off burners. 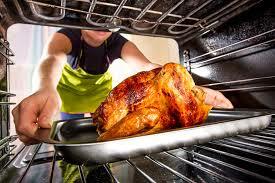 •Be sure your oven stovetop are free of grease and dust. Inspect exhaust hood and duct over the stove regularly to ensure they are clean. •Keep items that can ignite such as towels, napkins, and pot holders away from the cooking area. •Be sure countertop appliances are plugged into Ground Fault Circuit Interrupter (GFCI)-protected outlets. •Wear close fitting sleeves to prevent clothes from igniting. •Use the back burners to protect children in the home from spills and burns and turn pot handles in, away from reaching hands. •Keep appliances/electrical cords away from wet or hot surfaces and unplug appliances when not in use.